Imported pet food ingredients, deadly drugs, toys, clothing, and exploding tires have been well reported by the news media. It makes me uneasy to learn that I may have consumed toxic chemicals or tainted foods either in China or imported from somewhere. I’m even more worried that my dogs could die from deadly (and intentional) additives in their food. 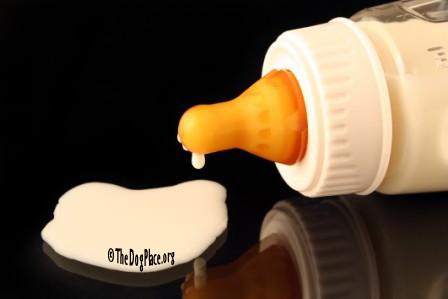 In 2005 Chinese babies were dying at a greater than usual rate due to fraudulently labeled non-nutritious baby-formula and melamine. We are flooded with imports such as tainted toothpaste, lead-paint children’s toys, and chemical-laced rawhide dog chewies. Toxic chemicals in imported flame-retardant bedclothes, ornamental pots and ceramics have made headlines. Even so, Chinese imports continue to flood our country because consumers have been conditioned to availability and/or pricing. 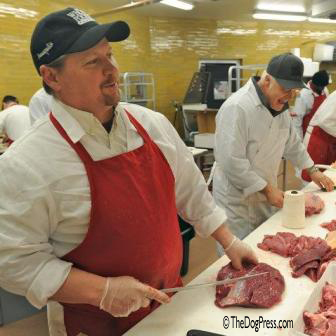 Veterinary doctor and writer Michael W. Fox asked, “How can one trust the import industry when Menu Foods, after receiving many complaints about problems with its products, took 3 weeks to notify the FDA, resulting in the unnecessary suffering and deaths of even more animals?” Answer? The FDA has no authority to demand a pet food recall. There is no equivalent to FDA in the pet food world, therefore imports escape jurisdiction and all such recalls are voluntary. Pet food companies have been responsive. IAMS had previously recalled pet foods dangerously over-supplemented with cadmium. In early 2006 Royal Canin recalled some of their prescription-only dog food which contained toxic levels of Vitamin D 3, a chemical that in high doses is used as a rat poison. Following 2004 reports of kidney failure in nine Asian countries, there was a massive recall of dry pet food manufactured in Thailand by multi-national Pedigree Pet Foods, but no imported toxic agents were ever reported to the public. 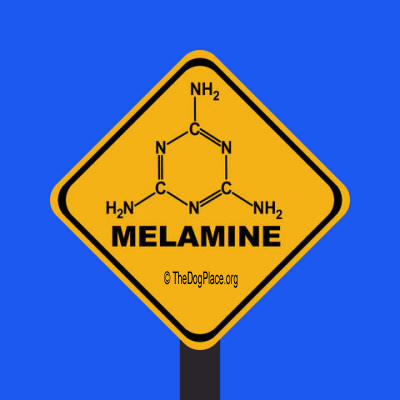 The list of known deadly or toxic ingredients in pet foods includes melamine, cadmium, rat poison, aminopterin, pesticides, and cyanuric acid, which is chemically related to, but distinct from, melamine. Much of it is imported. Chemical producers in China say feed producers quietly buy cyanuric acid to produce a combination of melamine and cyanuric acid which boosts the (apparent) protein level. “Cyanuric acid scrap can be added to animal feed”, said Yu Luwei, general manager of the Juancheng Ouya Chemical Company in Shandong Province. “I sell it to fish meal manufacturers and fish farmers. It can also be added to feed for other animals.” Two chemical makers said cyanuric acid was used because it was even cheaper than melamine and also high in nitrogen, enabling feed producers to artificially increase protein readings (measured by assaying nitrogen content). An AP/NBC release quoted Michiel Keyzer, director of the Center for World Food Studies at Amsterdam's Vrije Universiteit as saying, “This really shows the risks of food purity problems combining with international trade.” The AP release reminded us that manufactured goods, exports of meat, produce, and processed foods from China have soared in recent years. China has tried to improve inspections because they are a little worried about losing access to foreign markets. However, excessive amounts of pesticides and chemical fertilizers are still used to boost yields. High antibiotic or pesticide residues have caused Europe and Japan to ban Chinese shrimp, honey and other products. Hong Kong blocked imports of turbot (fish) last year after inspectors found malachite green, a carcinogen used to treat fungal infections. Chinese farmers use cancer-causing red dye to deepen the color of yolks and thus boost the value of their eggs. They have fed asthma medication to pigs because it can produce leaner meat. China's own Health Ministry reported almost 34,000 food-related illnesses in 2005, with spoiled food accounting for the largest number, followed by poisonous plants or animals, and then the use of agricultural chemicals. Yet another poison has had devastating results. The New York Times on May 6, 2007 reported ethylene glycol in foodstuffs! 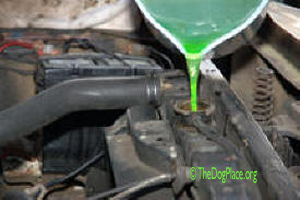 Yes, it is what you put it in your car radiator to prevent freezing and corrosion; a syrupy, sweet-tasting poison like the more expensive (but edible) glycerin commonly used to sweeten drugs, food, toothpaste and other products. According to the Times, the toxic syrup has figured in at least eight mass poisonings around the world in the past two decades. In three of the last four cases it was made in China, which has become a major source of counterfeit drugs. If not blatantly intentional, such incidents are no accident. The poison has been used in all sorts of medicine — cough syrup, fever medication, injectable drugs. Counterfeiters profit by substituting ethylene glycol for the safe but more expensive syrup in drugs, food, toothpaste and other products. Last year, Panamanian government officials unwittingly used diethylene glycol in 260,000 bottles of cold medicine with a reported 365 deaths resulting. Chinese companies that made and exported the poison claimed it was 99.5 percent pure glycerin. But the New York Times traced the medicine backwards through three trading companies on three continents. The Times eventually found out that the manufacturer was not even certified to make pharmaceutical ingredients. Besides Panama and China, the toxic syrup has caused mass poisonings in Haiti, Bangladesh, Argentina, Nigeria and India. China produces 90 percent of U.S. vitamin C, as well as the bulk of vitamins A, B-12, and E we import. China’s ability to export low quality, counterfeit, or fraudulently labeled supplements at a low price has driven almost everyone else out of the vitamin business. But that’s not all. Chinese pharmaceutical companies have also taken over much of the world market in the production of antibiotics, analgesics, enzymes and primary amino acids. An industry group states that China makes 70 percent of the world's penicillin, 50 percent of its aspirin and 35 percent of its acetaminophen (you may know this one best under the brand name Tylenol), Next time you have a headache, that knowledge just might make it worse! Of course, China's vitamin producers are trying to reassure U.S. consumers that their imported vitamins are safe. But given their track record in pet foods and sweeteners, I wouldn’t bet the farm on it [Ref 1 Prescribing Death]. When in Beijing, I learned that the world’s biggest pharmaceutical hub was a two-hour train ride to the south. The largest vitamin C factory in the world is running flat out trying to keep up with demand. Product safety inspectors drop in but they aren't exactly unbiased. They work for the city government, which is a part owner of the company! Our only reassurance for the drugs we import is that China's government officials would find their heads on a platter if they allowed anything to hurt the growth of the drug and vitamin producers. Once in a while, somebody gets nailed. The former chief of the state Food and Drug Administration, Zheng Xiaoyu, was given the death sentence for taking $832,000 in bribes to let unsafe drugs on the market. One of his aides was sentenced to a 15-year jail term last autumn, and a second was accused in May of 2007. In January of 2008, two of the men responsible for the addition of melamine to raw milk to make it appear higher in protein were given the death penalty. A boss at the Sanlu Dairy which figured prominently in the deaths, was given life in prison. Thousands of people cheered the melamine death penalties due to the deaths of six babies and 300,000 people made sick from the contaminated milk. Over the past 25 years, Chinese agricultural exports to the U.S. surged to $2.26 billion in 2007. Grocery stores carry a multitude of poultry products, sausage casings, shellfish, spices, apple juice, honey, canned fruits, mushrooms, all sorts of other canned food — you name it. The U.S. has approved importation of cut and wrapped chicken from China. You don’t want to know how those chickens are produced but the point is, wrapped chicken can not be inspected. Impotency remedies imported from China are innumerable. Bogus anti-malaria drugs sold to Southeast Asia, where the illness is prevalent, can make sick people sicker — or they die. “They [producers of fake medicines] are criminals,” said Dr. Henk Bekedam, chief of the World Health Organization office in China. Communist China doesn’t need an atomic bomb to destroy western civilization. Whether by negligence or intention, they can do us in through the pharmaceuticals, supplements, and foods we import. Lenin boasted that we non-communist capitalists would be all too happy to sell him the rope that he was planning to hang us with, and Mao’s ideological descendants have not abandoned that goal. Until recently U.S. law did not require ii Country Of Origin Labeling (Instant Information) on imported food, drugs and other products. Those labels are confusing at best and ineffectual at worst. The recent pet deaths from imports should have been a warning but it is doubtful our government will change policy without tremendous pressure at the polls. I strongly suggest that you contact your elected representatives. Write to Senators and your Congressman, but be sure to give your address or your concern will be ignored. In the meantime, shop locally or grow as much of your food as is possible. 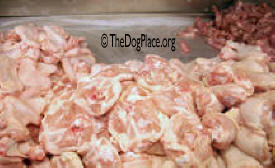 in foods killed America's pets and sickened China's babies. Impact poultry processing with a hormone-free meat supply. 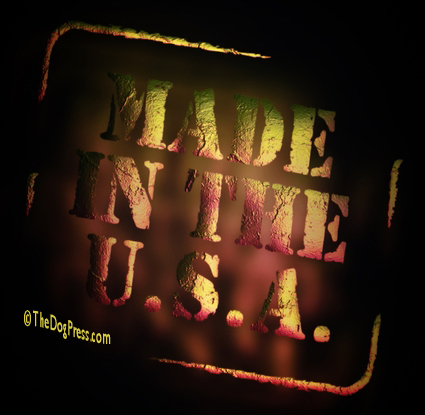 Consumers want “Made In USA” or country of origin labels.